Kerry Washington committed a crime against shoemanity by hiding her black satin ‘Sharon’ peep toe platform pumps from Giuseppe Zanotti at the 2018 NAACP Image Awards at the Pasadena Civic Auditorium on Monday in Pasadena, California. She also wore them last month to the 2018 Breakthrough Prize Ceremony. We sometimes get asked whether Kerry Washington is related to Denzel Washington, and the answer is simply no. Except from their profession and second name, they have nothing in common. Let’s also not forget that Denzel Washington is 23 years older than Kerry. The 40-year-old actress was nominated for Outstanding Actress in a Drama Series for her work on ‘Scandal’ and Outstanding Character Voice-Over Performance for her voice work in ‘Cars 3’. While she did not end up winning any prizes, Kerry looked elegant in a custom silk-and-wool gown from the Michael Kors Collection styled with Atelier Tasaki x Prabal Gurung jewelry. The 17-year-old American actress, model, and activist also hit the red carpet at the 2018 NAACP Image Awards. Yara Shahidi worked a dramatic black look in a silk tiered gown from Vera Wang‘s Spring 2018 collection featuring ruffle straps, tulle underlay and cotton poplin high collar. She styled her bold statement gown with Jimmy Choo shoes, Aurate earrings, and a Kat Kim ring. 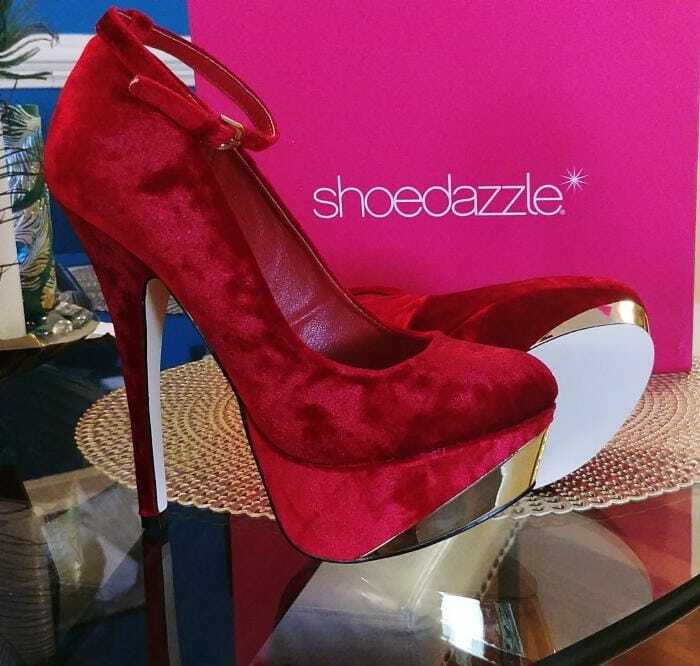 You can find amazing black pumps from $9.99 at ShoeDazzle. We love the following sky-high style that is available in black and red.